Mattie Griffith is resting easy Saturday night, and not just because of the Percocet she’s still on for the pain. The 18-year-old from Atlanta, whose anesthesia-induced concern over Auburn’s chances against San Jose State helped make the hilariously adorable video (watch it now) her mother Amy shot Wednesday just after Mattie’s wisdom teeth were removed go viral, watched the Tigers handle the Spartans to the tune of 59-13. That’s an impressive performance, no matter what Dayton says. The reactions from everyone else the Hillgrove High senior ran into at Hillgrove’s football game Friday night were a little more positive. Is she mad that her mom posted the video? Actually, Griffith says she had hoped her mom would capture her post-surgery stupor on camera to see if she really would be as hyper-emotional as the oral surgeon predicted. 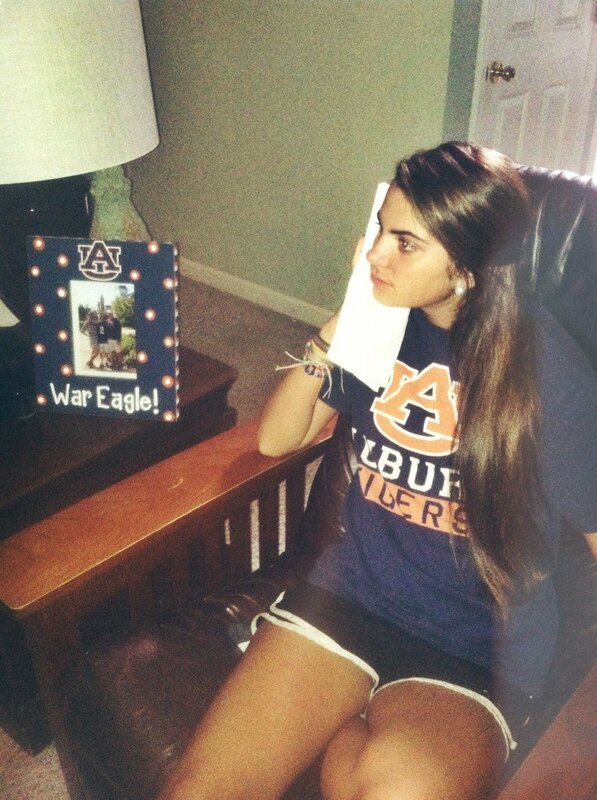 That those emotions manifested as the most spontaneously sincere display of affection for the Auburn Tigers since Bill Wingo ran onto the field during the 1969 Iron Bowl can be explained by the last words she remembers Dr. Henry Blair, an Auburn grad, saying to her before she went under the knife. “He said he’d give me the special Auburn treatment,” she says. 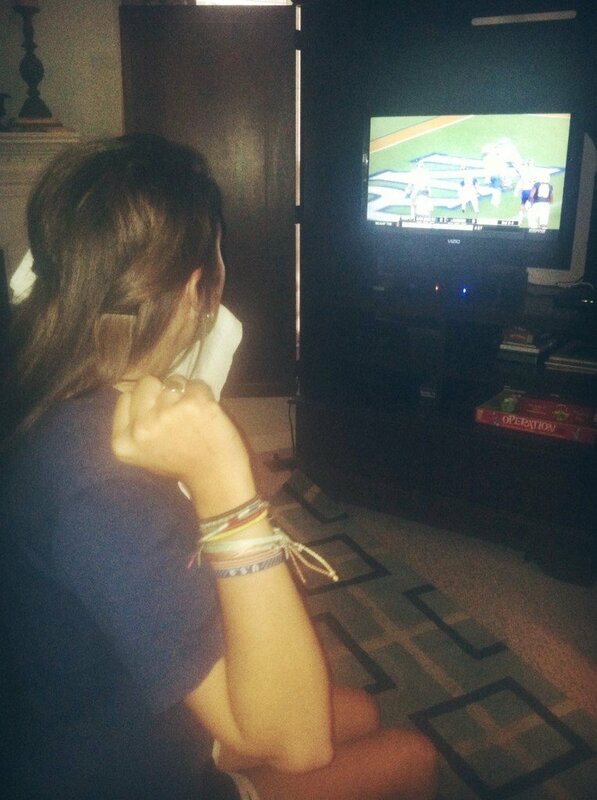 War Eagle, man. War Eagle. Fly down the field. Oh War Eagle. But it wasn’t just the gas talking; the roots of Griffith’s Auburn devotion run deep. Her grandfather, Doc Griffith, played fullback for Auburn from 1961-1964, blocking for superstars Jimmy Sidle and Tucker Frederickson. 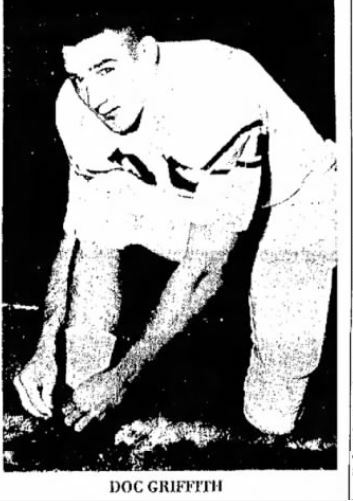 His two touchdowns in Auburn’s 1964 win over Southern Miss were the first of his career, and the only Auburn points scored in the game. The Plainsman, Auburn’s student newspaper, was quick with kudos it felt were long overdue. Doc signed with the Kansas City Chiefs after his senior year, and currently lives in Hokes Bluff. So is her mom, her dad, her two brothers, her two sisters. They’re just not able to make it games that often. There are prior commitments, and of course football tickets for a family of seven aren’t exactly cheap. Of course, that Dayton probably wouldn’t go to a game in Jordan-Hare now, even if he got in for free. Related: The identity of the “lion that was hugging that man” revealed!